- City Park across the street. Bastille day is the biggest event at Restaurant Jeanne d'Arc with musicians & singers. Also notable: Christmas Eve , New Years Eve & Valentine's day. We can close the restaurant to the public for a private party of 50 or more. 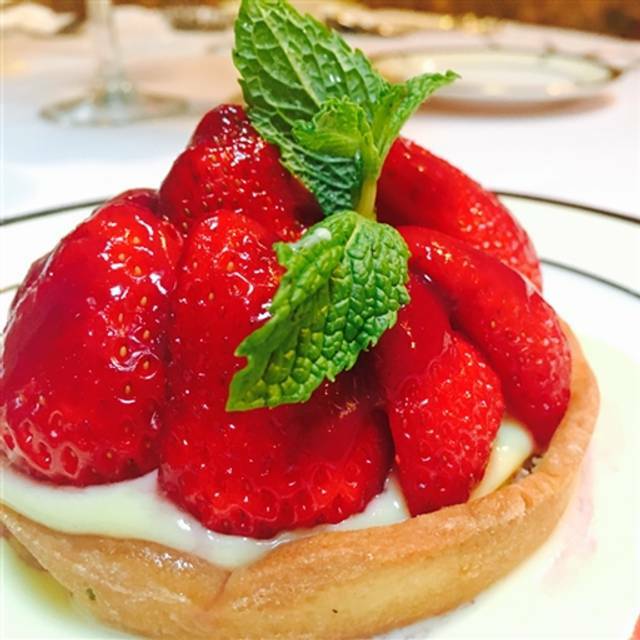 Jeanne D'Arc is an elegant yet reasonably priced French restaurant located near Nob Hill and Union Square in the Cornell Hotel de France. Replete with tapestries, stained glass and artifacts, the decor celebrates the life and deeds of France's legendary heroine, Joan of Arc. Founded by the Lambert family in 1972, the restaurant is a favorite of locals and visitors. Jeanne D'Arc offers a prix fixe menu and a cellar of well chosen California and French wines. The restaurant is perfect for before-curtain supper, a gathering of good friends, or romance with conversation. Delicious food and excelent service. 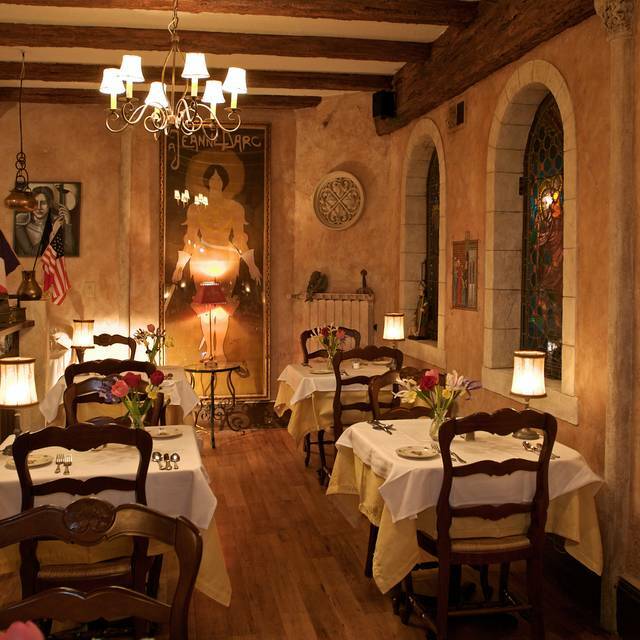 French comfort food in abundance and a friendly atmosphere of art and kitsch. An experience like no other in the Bay Area for value and flavor. A killer deal for a date night! 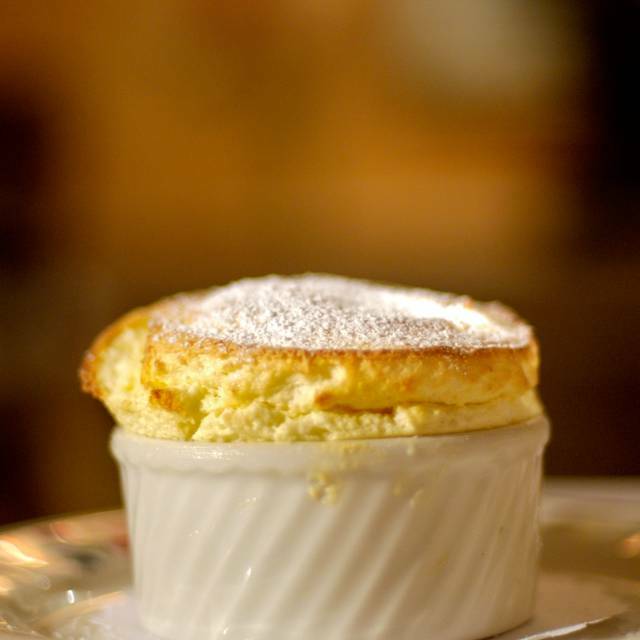 PS: You must get the Grand Marnier souffle! A knockout! Our waiter, Houari, was great - personable and French accent made it feel authentic! We had a nice bottle of wine that was surprisingly low mark up from retail price. Great but not amazing food. A little pricey, but very unique experience, decor, and entertainment make it totally worth it. The atmosphere here is king, with the delicious French decor making you feel like you landed in the dining room of a country manor. Food was excellent (though vegetables were a little overly prepared and the soup could have been warmer). There was a mild silverware hiccup: my partner didn't get a salad fork and I didn't get a soup spoon. Sadly, our table was not scraped for bread crumbs by the waiter. Lastly, it seemed like the restaurant could have used an additional server: our empty plates were often left on our table for several minutes in between courses. But the staff themselves were impeccable. Brought our granddaughter from Tennedsee for 21 birthday celebration to San Francisco and wanted to go to restaurants not on the tourist trail. Food, decor, and service exceptional! Thanks to our wonderful waiter for recommending the rabbit- delicious! Wonderful find, ambience, service. The lightness of the souffle is fantastic. Wow. I aspire to that. LOVE this precious little jewel! Tons of eye candy in the over-the-top but completely charming decor; sweet, warm, friendly, caring service, done professionally, including TLC to each diner from the owner; unbelievable value, everything was delicious, excellent quality, we came before the theatre, but won't wait to have an excuse to return. Very enjoyable and well worth every minute spent. Food was amazing and especially for the price. Server was outstanding and his wine recommendation was perfect. Loved the ambiance feel of France. Will definitely dine again and recommend to others. Great food, reasonable prices, nice atmosphere. Glad I tried this restaurant, will be back next time I visit San Francisco. Once again, our experience was excellent, from the moment we were greeted and seated, to the service we had. 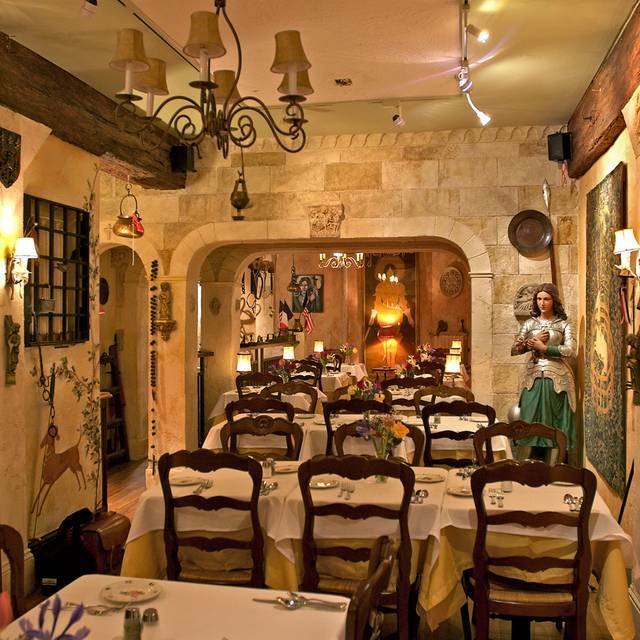 The restaurant is downstairs with low ceilings and a few alcoves with a rural French ambience. We started with a cream of potato & leek soup, that was thin and very flavorful and not just full of potatoes and thick cream. The avocado and shrimp salad was excellent, as was the pear and greens salad and the escargot were delicious. 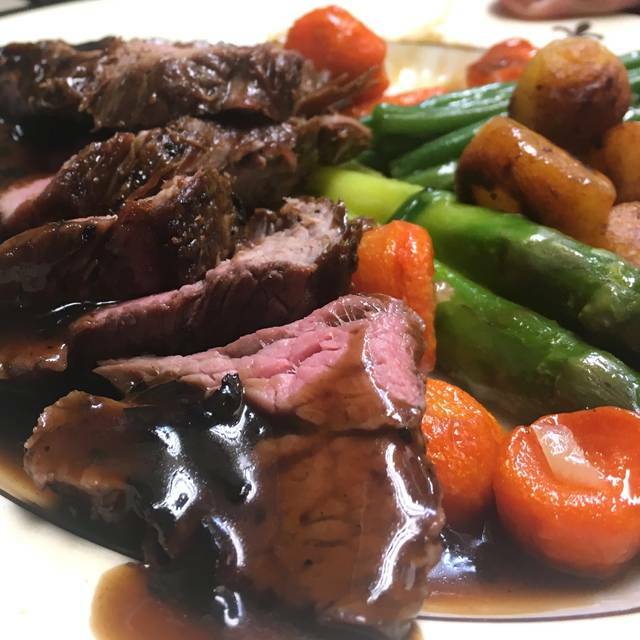 For main courses, three of us had beef bourguignon, with a wine sauce that was exquisite, with carrots & asparagus & yummy augratin potatoes on the side. I had the lamb shank which was so tender it melted in my mouth. The sauce again was exquisite..the best lamb shank I have ever had with the same veggies. For dessert, the Grand Marnier Souffle was perfect, as were the pear tarts. 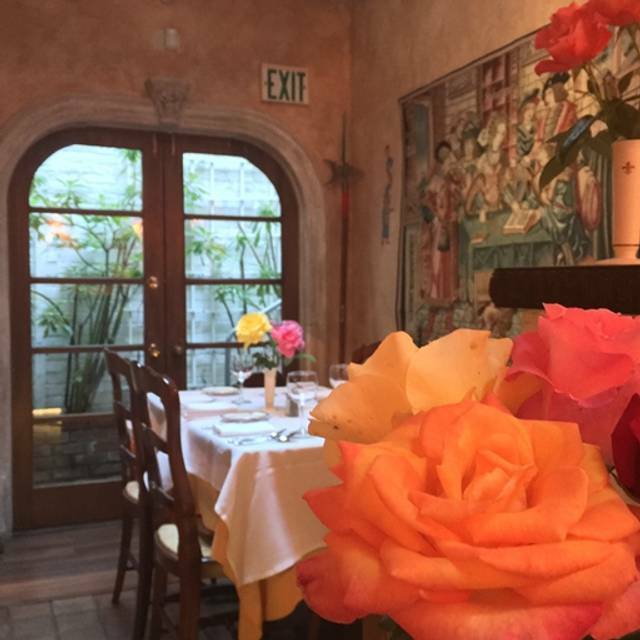 Jeanne D'Arc has become one of our very favorite San Francisco restaurants! We had a wonderful time. The food was delicious and the staffs were friendly and attentive. Would definitely recommend this to everyone. Thanks for a great night. We had concerns initially. We were worried this place would be too stuffy. It emphatically was not. We've searched high & low for a place where we could hear each other over the ambient noise, and this place was recommended as 'quiet' so we were slightly concerned it might be *too* quiet (so that, for example, we'd have to stifle laughter). It wasn't. The food was outstanding -- we had the lamb shank and the rabbit, both falling off the bone and delicious, and nothing will ever top the Grand Marnier souffle for dessert. The decor is warm and sparkly, not cluttered or gaudy. Tables are far enough apart that nearby conversations never intruded. The wait staff was cheerful and attentive and not the least bit aloof. Of all the places in SF where we've tried to have a relaxing, high-quality meal where we don't have to shout to have our conversation heard, the Jeanne D'Arc is one of the VERY few that meets our needs. We'll be back soon. 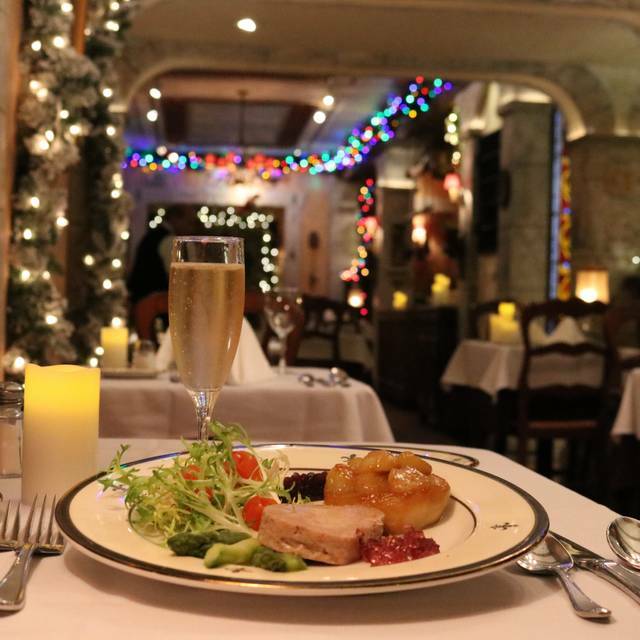 We love Jeanne D'Arc for classic French dishes and the experience. We decided to take a friend and her significant other to celebrate her birthday. The only time we could get in was 8:30pm. Had we know we were going to be rushed to order because they were running out of dishes as well as for other reasons unknown to us we would have picked another day to get an earlier time. It felt like we were rushed all through the meal. We were having a good time with each others company but unfortunately kept getting interrupted and being asked if we were done. We wanted to enjoy a bottle of champagne first, then go on to our dinner with wine. We were told that some of the dishes were running out so better to get your order in and then they will serve accordingly. Soon after we were served Champagne our dinner appetizer came out. Some of the dishes were not the most flavorful nor tender. We all agreed we loved the carrots and Soufle. Best Soufle in the City! We will be back but at an early seating, will not order the Lapin and ask if we can bring our own wine since the list is limited. The waiters really rush you through dinner not giving you time to enjoy the time. We did not feel the food was that great. The vegetable soup was bland. The escargots were good but nothing special. The lamb shank was tasty but the Beef Bourgignion was dry and not much flavor. The desserts were good but the soufflé was sadly undercooked. Overall we would not return. What a fantastic dining experience! From a narrow hall in a hotel basement, we were transported into a glittering slice of Parisian romance. Memories of small cafes in the heart of Paris and centuries-old dining rooms in chateaux in the French countryside were instantly evoked from the decor, music and enticing smells from the kitchen. The food was melt-in-your-mouth perfection. The service efficient and unobtrusive. And the soufflé - ooh la la!!! 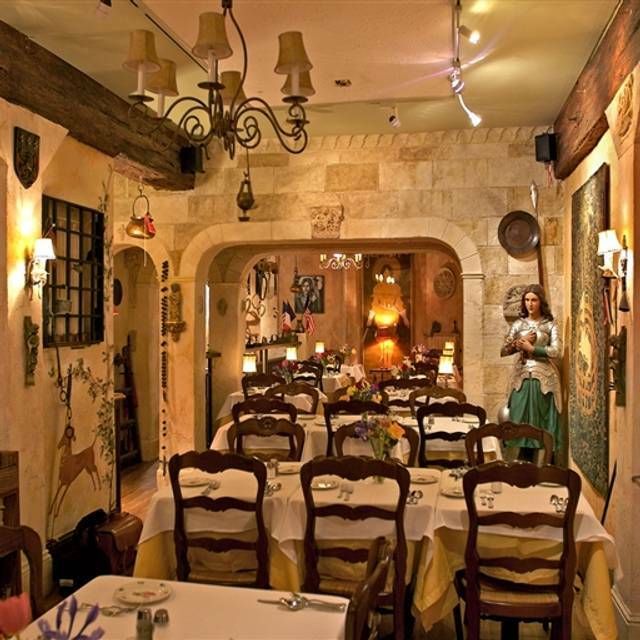 Gorgeous restaurant with a fabulous French ambiance. Food was very good,but we were disappointed that certain menu selections were already “sold out” by our 6:45 reservation! Friendly welcome, attentive to clients' wishes, interesting menu, intelligent wine list, right time between plates, imaginative and delicious cooking, right quantity per serving, charming "Jeanne d'Arc" decoration and pleasant atmosphere, not loud noise each table can chat without disturbing or disturbed. reasonably priced. The perfect for any occasion. Thank you. A quiet, delicious taste of France in San Francisco. a very romantic place for taking a sweetheart on her birthday. Dan our waiter was a delight. We had a great dinner with timely service, good food and ambiance. Just a super evening with reasonable prices. We will go back and will ask to be seated in Dan’s area! We ordered lamb shank and veal shank as our entrée. The portion size of the entrée was bigger than those served at regular French restaurants. The taste and textures were excellent. The soufflé was awesome. We all luv the lovely area n very romantic. The meals r awesome. Services good too. Thank you. It is great local gem. Great 4-course French cuisine at a very reasonable price! Very lovely place, felt like a hidden gem. The ambiance was special and felt exclusive. The food was spectacular and exceeded my expectations at every course. The staff was lovely and I even got greeted by the sous-chef, he also wished me a good night at the end. Our waiter was visibly overwhelmed so his attention to us was limited, but that was not his fault. He still made the best of the situation, and contributed to a very pleasant night for me and my wife. I was very disappointed in the service. It was rushed and disjointed. had a plane to catch. Not one explanation of the of the wine or the food. The Gran marnier cream for the souffle was brought to the table 5 minutes before the souffle itself arrived. The food and value was still very good! An absolute gem! 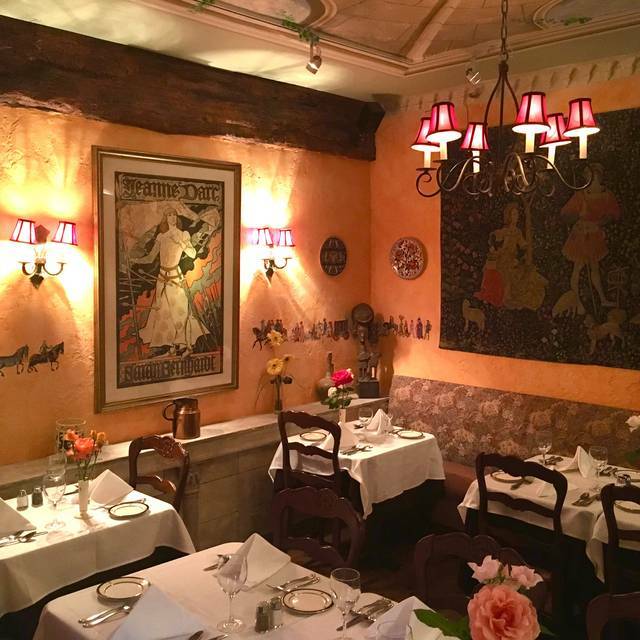 If you love classic French cuisine, this is the restaurant for you. The room is a busy, colorful, visually entertaining dining room. The service is pleasantly professional and the food was spot on. Escargot, steak au poivre and Grand Marnier Souffle (with a little extra Grand Marnier), all were perfectly done. I generally don't get effusive about restaurant ts, but this place is special. Hidden gem. Wonderful details throughout. Best country French food restaurant in SF. Exceeded all expectations. Truly outstanding dinner. A unique dining experience in beautiful setting. Strongly recommend! Every item was well prepared. Our waiter was upbeat (as has been our previous experience), the wine list was reasonable, and the overall value as judged eating out in SF was on target. Just a lovely dinner experience in a lovely environment with excellent service and food. Our waiter, Houari, was amazing! Incredible attention to detail. Bravo! Such a nice surprise. Takes you into another world. Consider yourself in a small well appointed Parisian restaurant. Food and service was great. I bought dinner as a gift for my parents. They had a wonderful time, gushed over how great the food was, and the ambiance was romantic and fun like being in a castle. Hearty and delicious. Amusing, festive and delightful. We've eaten here before and will again. Our guest wants to return with other friends of hers. Jeanne d'Arc is a favourite restaurant, as is The Cornell Hotel for a place to stay downtown.